TRNC News Today 21st October 2013 – Greek Cypriots rejection again! The Minister of Foreign Affairs, Özdil Nami, made evaluations to BRT Channel, with regard to the “Joint Statement Text” being prepared within the context of the full-fledged negotiations expected to resume soon. Foreign Minister Nami explained that the joint statement text proposed by the United Nations was accepted by the Turkish Cypriot side but it was rejected by the Greek Cypriot side. Nami pointed out that however, the Turkish Cypriot and Greek Cypriot delegations were still continuing their studies on the text with the UN officials in order to realize the Leaders’ meeting declared to take place on the 4th of November. 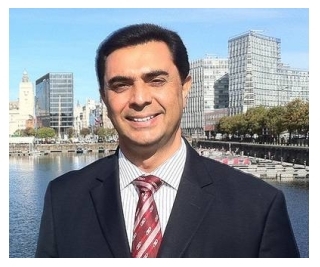 Foreign Minister Nami stated that the problem regarding the joint statement text was the Greek Cypriot side’s insistence to include the issue of Single Citizenship-Single Sovereignty, which was agreed in principle by the two leaders in 2008. “The Greek Cypriot side, while demanding to include the issue of Single Citizenship-Single Sovereignty, which is its priority in the joint statement text, wants to negotiate our priorities like Internal Citizenship and Residual Powers. This attitude cannot be accepted”, Nami added. 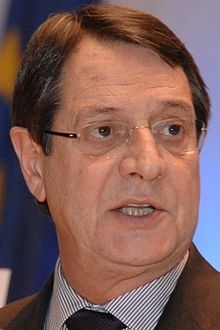 Referring to Greek Cypriot leader Nikos Anastasiadis’ intention to convey to the EU Ambassadors his thesis on the active participation of the EU in the Cyprus problem, Foreign Minister Nami said: “They always do this, but the EU emphasizes at every platform that it will give only technical support to the negotiations. It does not want to be fully involved in the Cyprus issue. Moreover, the EU already has a representative, who actively works and gives technical support to the leaders in the buffer zone”. Stressing that a comprehensive settlement to be reached would be in any case in line with the EU norms, Nami reminded that there exists an EU topic in the negotiations and agreement was reached on this topic. Minister of Foreign Affairs Özdil Nami replied that the Greek Cypriot leader Anastasiades, said “this problem will be solved by Christmas”. Noting that it was vital for the leaders to start the comprehensive settlement negotiations immediately, Nami added “the structure of the comprehensive settlement is obvious. At this phase, it is impossible to establish a federal structure against all the works put forth up to today. Moreover, the relevant resolutions of the UN Security Council are very clear”. Pointing out that the Cyprus problem did not have any aspect, which was not discussed, Foreign Minister Nami said the main problem was about preparing the People for a solution, besides its content. Referring to the Greek Cypriot approach of bringing some of their sensitive issues into the forefront, Nami said some political parties, basing their policies on these issues were playing a key role and there were difficulties to overcome them. Explaining that people had different expectations from Anastasiadis as a leader who said “yes” to the Annan plan, Nami said: “These expectations have not been realized yet. We hope that in the coming period, they find a way to overcome these problems originating from their internal politics. They have recently brought forward the issue of Maraş (Varosha) in order to overcome this. However, it is out of question for the Turkish Cypriot side to make concessions on the territory for Anastasiadis to solve the internal problems”. Commission and published on the 16th October, TR Ministry of Foreign Affairs has also touched upon the Cyprus issue on 19th October 2013. 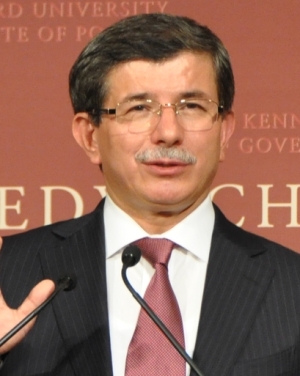 Speaking at a television program related to the issue, TR Foreign Minister, Ahmet Davutoglu, pointed out that in the published EU progress report there were biased and extremely unilateral judgments related to the Cyprus issue and recorded that even if there were unilateral expressions related to some internal developments in Turkey, the report was positive in terms of speeding up the process.